This Kit has everything you need to add additional material capacity using your 4 or 5-stage Fuji Spray HVLP System. Please note: You will need both a standard 25 ft hose plus a whip hose in order to use your Fuji Spray 2 Qt. Pressure Pot. 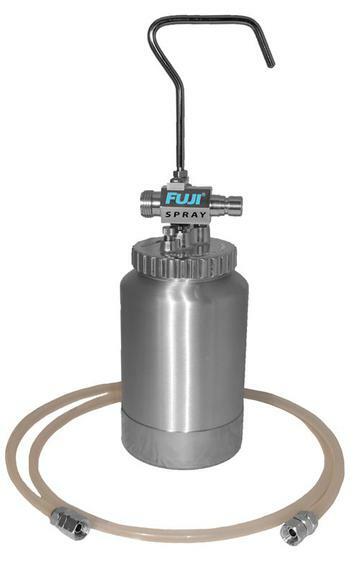 If you are using model 9600-G - GXPC spray gun, you will also need a 9060 L-Fitting.